Grand Bay National Estuarine Research Reserve. South showing Bangs Lake and western border of reserve and Chevron sour-oil refinery with emergency retention ponds adjacent to NERR to right. 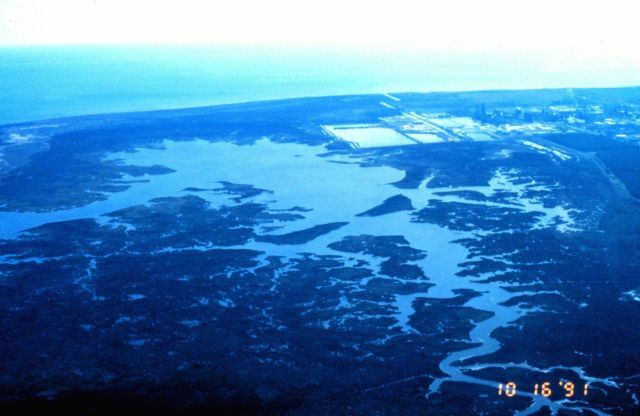 LSU aerial shoreline survey, October 1998.